"It is impossible for us to engage in direct talks with the #Kabul administration until all U.S. and NATO troops pull out from #Afghanistan. We told them [U.S.] that the Kabul government is not legitimate and is the product of American military pressure." "[Kabul administration] is not an elected government so it cannot represent Afghans and engaging with them would be a waste of time." "#Afghanistan currently has no governance system, no state institution, no police, no army, he asserted and added whatever is there is under the American influence." "We will build the institutions on the basis of Islamic laws and the fundamental constitution will be developed according to Islamic Sharia." "We will, inshallah [God willing], establish a government in Afghanistan which will be acceptable to the international community and will maintain good ties with neighboring countries." "The [govt] army that they call it is raiding homes of their own countrymen & killing them at the behest of the enemy. These forces will simply vanish when their financial sources dry up with the departure of Americans,& the fate of the [Afghan] government wouldn’t be different." 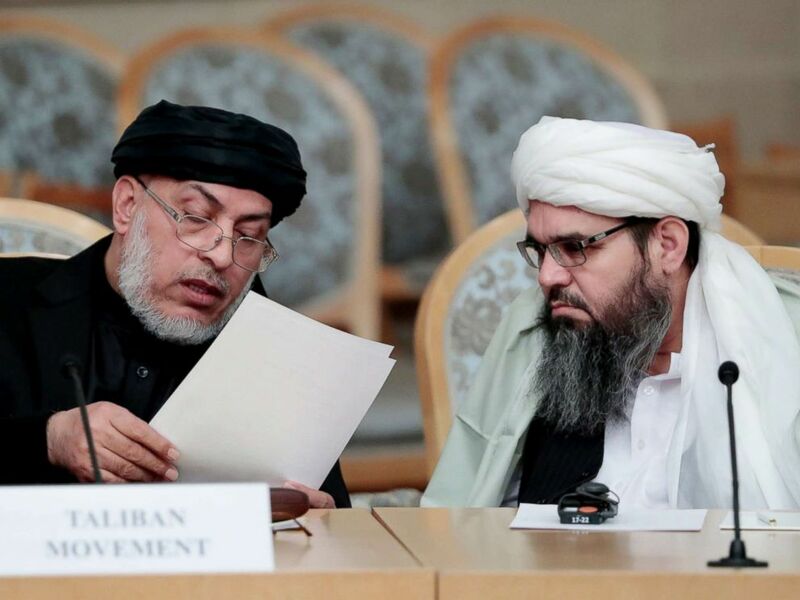 Full report here: Chief Taliban negotiator, Mullah Sher Mohammad Abbas Stanikzai, has revealed the details of six days meeting with US delegation in Qatar. By @AyazGul64. With the ordered departure of U.S. embassy staff, the probability of U.S. military intervention in Venezuela just increased. Frustrated at the number of checkpoints run by warlords and with much of Afghanistan and Kabul destroyed by militias, In September, 1994, Mullah Mohammad Omar left the Sang-i-Hisar Madrassa in Maiwand to form a militia to oust a local warlord in the border town of Spin Boldak. Update: 25 dead and 35 wounded, according to #Afghanistan public health ministry. Another update: 48 dead and 67 wounded, according to authorities in #Afghanistan. #Afghanistan vice president, after a year in self-imposed exile amid sexual assault charges, has returned home. Explosion heard near Kabul airport just after Vice President Dostum's plane landed. The blast was reportedly close to the gate of the Kabul airport. Initial reports are that VP Dostum has not been injured.